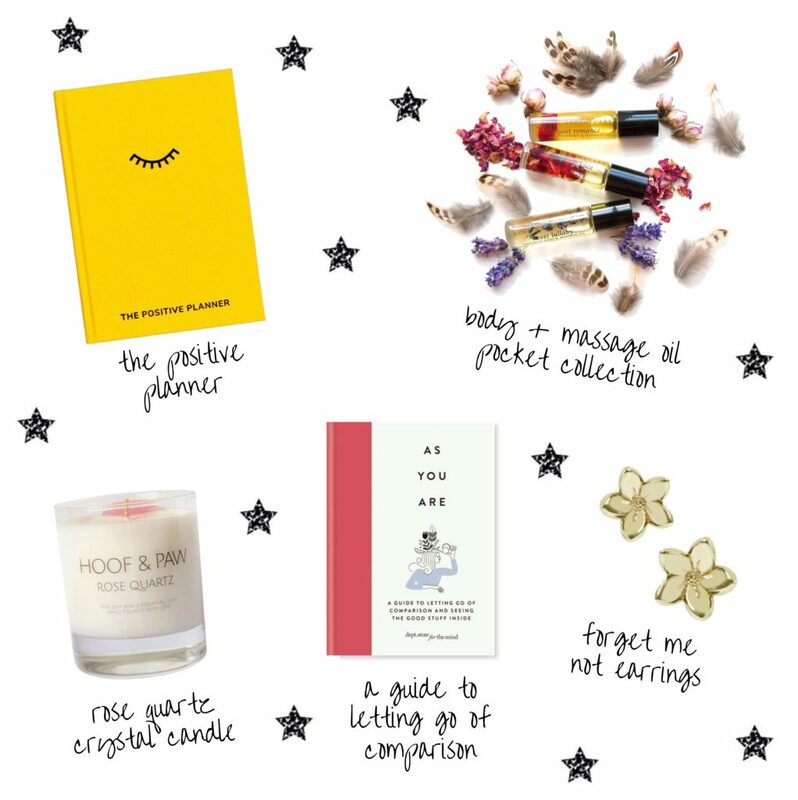 The Positive Planner 12 week journal meets DIY therapist | Rose Quartz Crystal Candle made from 100% soy wax | As You Are guide to letting go of comparison and seeing the good stuff inside | Forget Me Not Earrings symbolising love and beauty | Body + Massage Oil Pocket Collection of four healing an soothing oils. Whether they are a beginner or advanced Yogi, these gifts will support their practice – on and off the mat!.. Essential Starter Kit including mat, brick and belt | Powered By Yoga organic cotton bamboo tank top | Chakra Healing Intentions seven gemstone and sandalwood bracelet | Breathing Space aromatherapy essential oil mood shot | Luxury Yoga Incense collection of three fragrances for yoga and meditation. 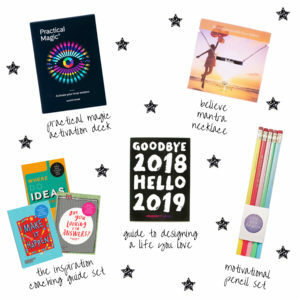 The Practical Magic Activation Deck a personal life coach in a box | Believe Mantra Necklace a reminder that so much is possible in life | The Inspiration Set coaching maps to get unstuck and to make things happen | Goodbye 2018, Hello 2019 guide to designing a life you love | Motivational Pencil Set encouraging pencils to brighten the day. 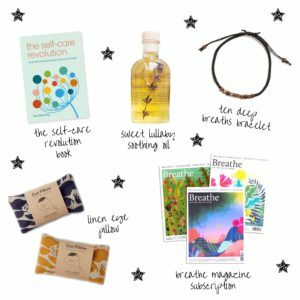 Linen Eye Pillow for soothing and natural pain relief | Ten Deep Breaths a bracelet to help you manage stress | Breathe Magazine annual subscription to the original mindfulness magazine | Sweet Lullaby soothing and relaxing body oil | The Self-Care Revolution smart habits and simple practices. Discover more gift ideas in The Mindful Gift Shop.